In our previous lesson of learning BlackMagic Design’s DaVinci Resolve, we talked about Codecs vs Containers (or Formats, as they are referred to, inside of Resolve 15). In this lesson, we’re going to talk about the setup of your output, and how you get from your timeline to the Deliver Module. One thing that is exceptionally important to keep in mind is that technically, your current sequence is always queued up in the Deliver Module. Once you click on the button at the bottom of the interface, your current timeline will appear, along with all your export options over at the left side of the screen. The first thing you’re going to need to decide (after choosing your Codec and Format) is how much of your timeline to do want to export? Do you only want what you’ve marked with in/out points in your timeline, or do you want the whole thing? Next, and almost equally important as to what you will be exporting, is how you will be exporting your timeline. Now, what do I mean by that. 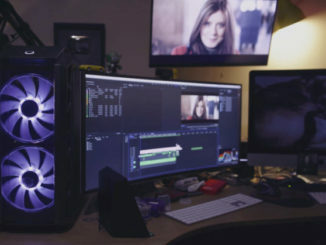 What’s important to keep in mind, as much as Resolve is an NLE and color grading application, it does serve other purposes like giving you the ability to export Proxies, so you can take your 4K and 8K footage that was acquired in the field, and edit with it on your (or the editor you’re sending it to’s) USB2 external hard drive. 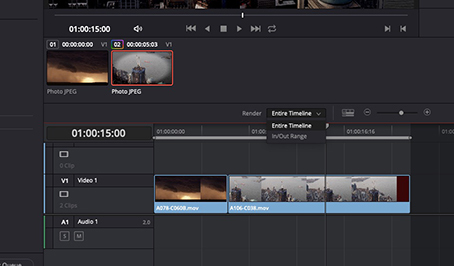 Also, Resolve can be used as an intermediary to send NLE timelines (Media Composer/Premiere Pro/FCPX) to Resolve for Color Grading, and then back again to the NLE for finishing. 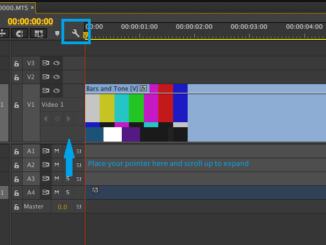 Here’s where you’re going to set that parameter, if your workflow dictates it. We’re going to assume, for the rest of this tutorial arc, that we’re on a Mac, exporting our entire timeline, as a single clip. Once we have chosen all those parameters, and set our Format to QuickTime and our Codec to ProRes, we’re almost ready to output. 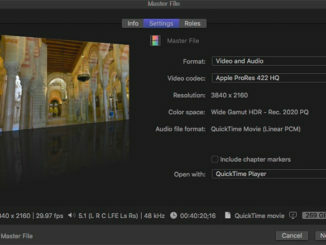 Next, we want to give our file a name, and tell Resolve where we want to export the clip to (as seen in the previous photo). To wrap up this lesson, I want to draw your attention to the top of the export window. 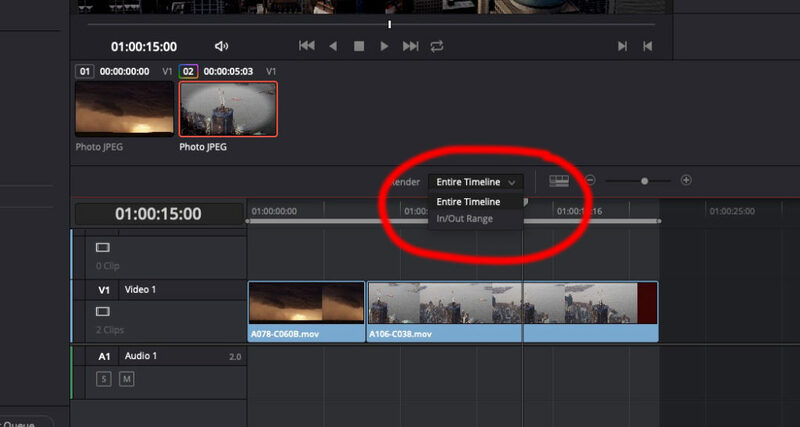 You’ll notice here that you have some Presets that you can choose, to make sure you export your timeline correctly (again, as seen in the image above). 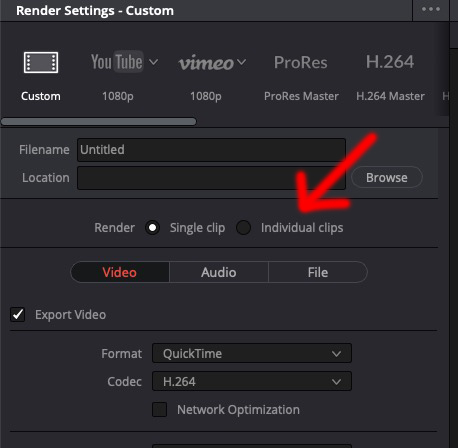 Whether you’re exporting ProRes, H264 or even for YouTube/Vimeo, use these presets, so this way you’re sure of the type of file you’re exporting, so once it goes to the client, you’ll know it was sent correctly. doddleDIGEST: Star Wars, Stranger Things 3, Bill & Ted, and More!